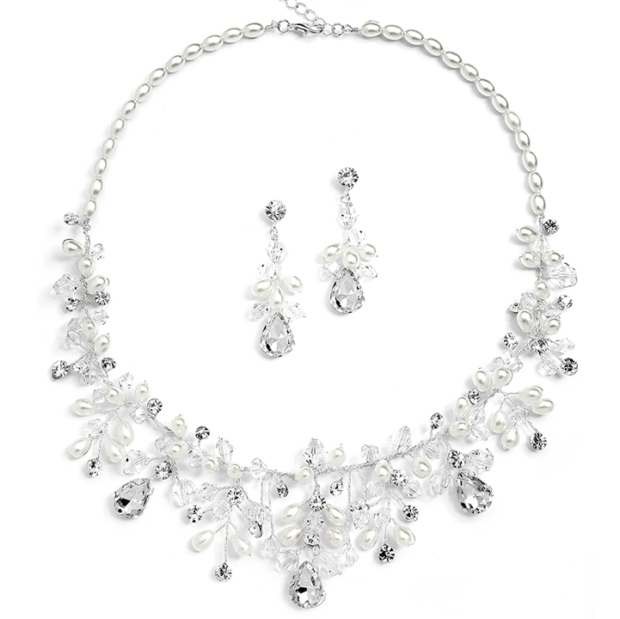 * Mariell's exquisite bridal necklace and earrings set features rice pearls with bold pear stones and assorted crystals in a modern, elegant design. * The 15" - 20" adjustable necklace is 1 1/2" h at the center. * The matching dangle earrings are 2" h.
* Adorn your wedding gown with Mariell's handmade pearl and crystal necklace and earrings set. * This beautiful wholesale bridal necklace set sparkles with multi-shaped crystals and elegant rice pearls. 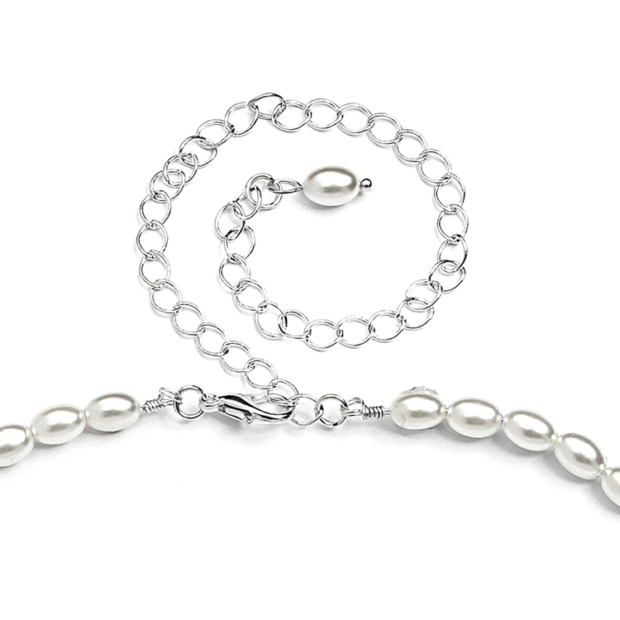 * The necklace has pearls surrounding the back with an adjustable chain and high-quality lobster clasp. * This bold statement necklace set is a great addition to your store's jewelry case and is available at a price point that will appeal to a wide range of customers.